Time for another Friday Favorites post! The blog features our favorite children’s books of the week on Fridays. See past Friday Favorites here. In the past year there has been a gradual shift in our house from princess craze to fairy fascination. I’ve noticed the same trend in other girls my oldest daughter’s age, and now I’m wondering if maybe it’s all a Disney marketing ploy…but it’s definitely real life in my world. Ella (age 6) is crazy about fairies right now. (Confession: I have no problem feeding the fairy fun around here. I may be a grown, semi-intelligent woman, but I think fairies are delightful). As a book loving mom, I usually try to tie together her current interests with books we find at the library. During Fairy Tale Frenzy, it was pretty easy to find princess related books. I was a little less certain that fairy books would be so numerous. But I shouldn’t have worried! There is a wealth of Fairy Fiction out there. Here’s the best and worst of fairy books we’ve found in Fairy Fiction so far this summer. Let’s start with the worst. 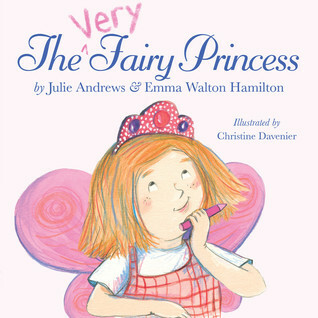 Daisy Meadows has written about 4,391 formulaic books about Rainbow fairies, pet fairies, jewel fairies, and on and on. When first introduced to them, I thought, “Oh, cute, some fairy books to get Ella interested in listening to chapter books.” The perks of these books is that there are illustrations on every page so children just getting into chapter books have something to look at, and the books are not too long to read in one 30-minute sitting. But now that we have been through The Rainbow Fairies and the Jewel Fairies and The Weather Fairies (I kid you not), the cons outweigh the perks. I am pretty much searching for any way to avoid reading another one of these books because they are all the same. The characters are never developed, the setting barely changes, and the outcome is as predictable as the sky is blue. They’ve served their purpose and I’m grateful, but I’m ready to move on. Another fairy book we actually like but would put it as one of the worst in the fairy category is The Very Fairy Princess. Lovely book, but has absolutely nothing to do with fairies. 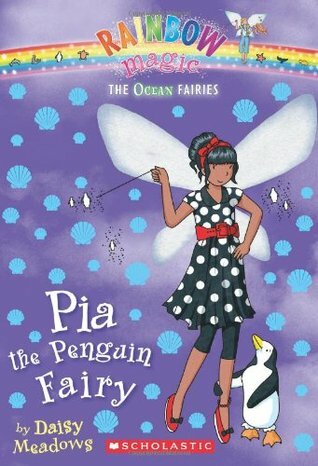 Definitely read it and the others in the series if you have a girl who likes Fancy Nancy books, but your serious fairy lover will find it lacking. There are some beautiful fairy picture books out there, as you can imagine. 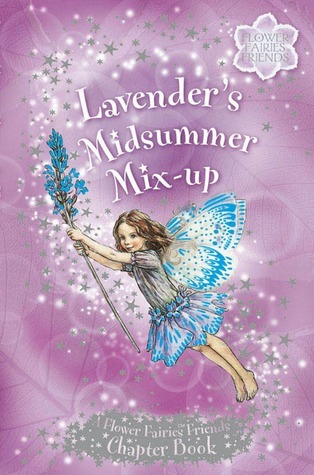 Lavender’s Midsummer Mix-Up is a short chapter book perfect for 1st-3rd grade girls whose mothers are fond of Kate Greenaway (ahem…me). The story line is light and quick, so it feels more like a long-ish picture book instead of a chapter book. The author, Cicely Mary Barker, lived from 1895-1973 and created a whole illustrated world called Faeryopolis. Her website is jam packed so be sure to check that out on some rainy day. Lily and The Fairy House – I think I’ll be drinking in the illustrations of this one. The Teeny Ween Walking Stick – It has a boy for a main character, so maybe Isaac will get some relief from all the girlish books. He doesn’t seem to mind, and we pick out plenty of boyish books for him, too, but since Ella isn’t an independent reader yet, he hears a lot of fairy chapter books. He’s a trooper, though! (i.e. he likes them and he is not ashamed to admit it!). Shockingly enough, the best fairy fiction we’ve found this summer has been the Tales of Pixie Hollow series. Yes, this is about the Disney Fairies. But hear me out! 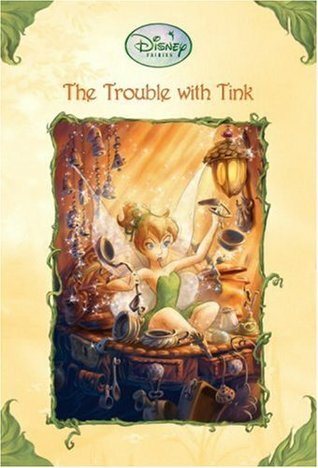 We discovered The Trouble With Tink by Kiki Thorpe on CD at the library as we were frantically searching the shelves for books to take on a 4-hour car ride. I thought, “well, we’ll try it since I’ll be able to listen along and make sure it’s appropriate.” I now have to admit: I really love these books. The audiobooks are especially good. The characters are more detailed and fully developed than in the movies and there is so much more background information about fairies and their land. Of course the plot is still very fanciful, we’re talking about fairies here, but the adventures are less “We have to save the whole world!! !” and more about each character’s personal failing and how they learn to overcome it. All kinds of great discussion can come out of it. I highly recommend them for 1st-4th grade and beyond! The audiobooks have been lifesavers during 100+ degree days this summer. Kiki Thorpe has also written a series we’re just starting called The Never Girls. It’s also pretty good, though I don’t like these as much as The Tales of Pixie Hollow so far. We’re only getting started with them, though. 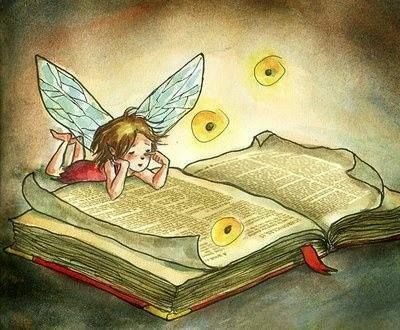 So, may this post arm you with many fairy books to keep your fairy lovers happy this summer! Or maybe it whet your appetite to try fairy fiction out for yourself? Let me know what you find!